Fill your living space with the unparalleled beauty and mystique of nature with Alessi’s Five Seasons home fragrance collection. 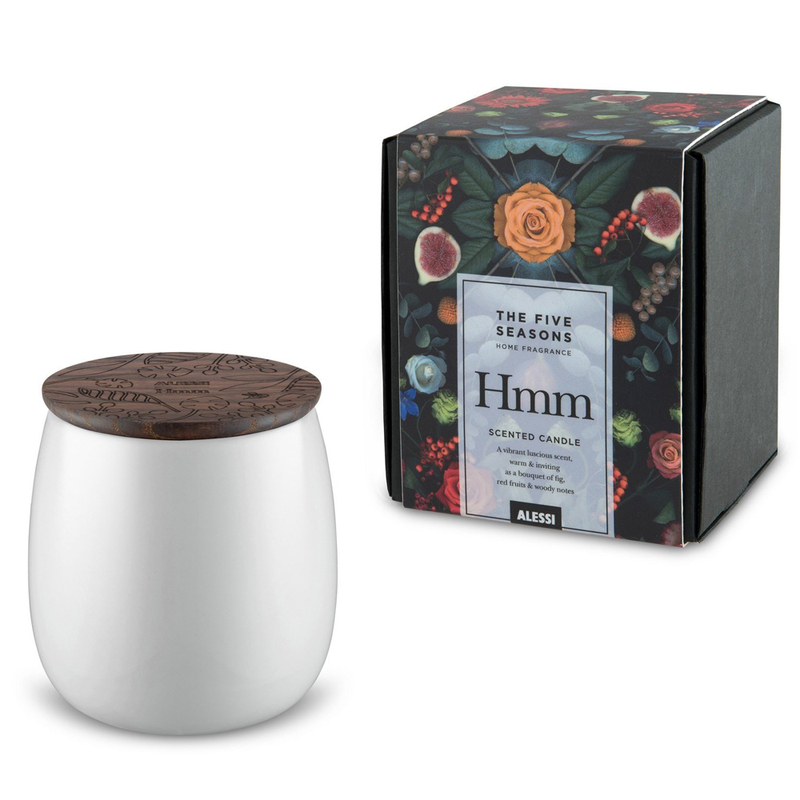 Conceived by visionary Danish designer Marcel Wanders, this comforting range includes five distinct scents, all with highly-evocative names including Ahhh, Grrr and Shhh. From leaf diffusers and lava stone diffusers to scented candles and room sprays, The Five Seasons will captivate you from your very first glance. Crafted from vegetable-based wax, embedded with cotton and linen wick. Bowl crafted from porcelain, and lid crafted from wood. The red fruits blend with fig and woody notes in a fluid and elegant dance. A beautiful scent creating vibrant and audacious sensations. Can burn up to approximately 40 hours. Perfect way to fill your house with a beautiful essence. Beautifully presented in an Alessi gift box.